Store, transport, and protect up to five handguns and 10 magazines with the made-in-the-USA, black iSeries 1610-10 Five Handgun Case from SKB. The number of handguns and magazines/accessories may vary somewhat based on specific sizes. Users will appreciate the waterproof and dust-tight construction, custom-cut foam, molded-in hinge, and pressure equalization valve. 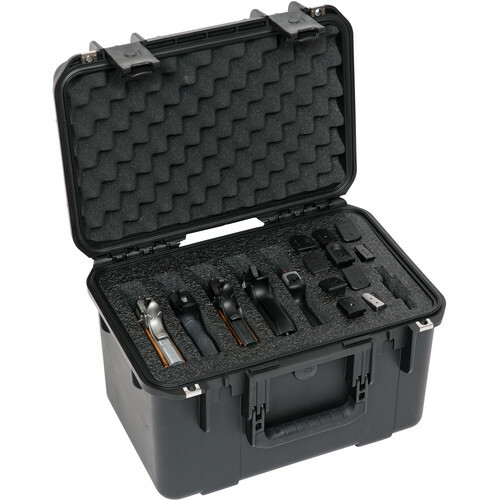 For security, the case offers latch closure and metal hasps for optional padlocks.